Donor Alliance, the federally designated non-profit organization that facilitates organ and tissue donation in Colorado and most of Wyoming, recorded a record-breaking year for organ donation, helping save the lives of 489 people through organ transplantation in 2018. A record 160 organ donors saving the lives of 489 people through organ donation and transplantation. 1,684 tissue donors providing bone and skin grafts to heal and potentially save the lives of tens of thousands of recipients in need. Through the generous gifts of donors and their families, Donor Alliance facilitated more transplants than ever by 5.6 percent, exceeding the previous high set in 2013, and a 33 percent increase since 2009. Donor Alliance also a had a record year for both kidney (268) and heart (59) transplants from donors in the two-state area. Additionally, in 2018 Donor Alliance recovered tissue from 1,684 tissue donors, including 1,512 skin donors, the most ever. Through procedures such as skin grafting and reconstructive surgeries, these lifesaving and healing donations will help thousands of people regain mobility and have active lives after disease or trauma. More than one million residents signed up to become donors in 2018, with an anticipated 1,058,000 in Colorado and 80,520 names in Wyoming being added to the organ, eye and tissue donor registries. The two states continue to maintain some of the highest donor designation rates, or percentage of individuals joining the state donor registries, in the country. The donor designation rate reached 69.04 percent in Colorado and a record 60.34 percent in Wyoming. As a result of a decade-long performance excellence journey, which culminated with the 2018 Malcolm Baldrige National Quality Award; the organization enacted a number of innovative processes last year that supported the increase in lives saved. These advancements included the facilitation of the first donation from an HIV-positive donor in our service area and the implementation of CT scanner to help maximize the gift of life by allowing a single liver to be transplanted into two donors. Despite the marked achievements for donation and transplantation across the region in 2018, 2,000 people in the area continue to wait for a lifesaving transplant. With these patients in mind, Donor Alliance continues to tirelessly educate the public on the need for donation and collaborate closely with 110 acute care hospitals, four transplant centers, division of motor vehicles and other partners throughout the two-state area. For more information about donation, or to sign up as an organ, eye and tissue donor, please visit DonateLifeColorado.org or DonateLifeWyoming.org. Collaborative partners such as hospitals, transplant centers, coroners, the DMV and others are imperative in facilitating the gift of life. Donor Alliance is a not-for-profit organization dedicated to saving lives through organ and tissue donation and transplantation. 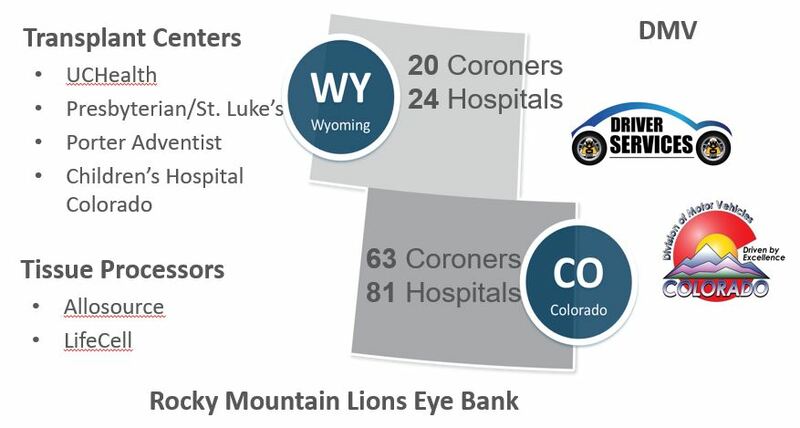 As the organ procurement organization and accredited tissue bank for Colorado and most of Wyoming, Donor Alliance serves more than 5.8 million residents and more than 100 hospitals. 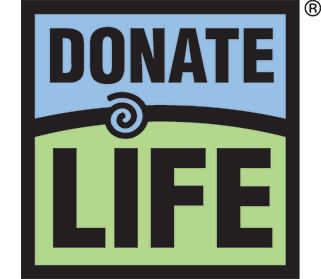 The organization adheres to medical, regulatory and ethical standards: respectfully working with the families of organ and tissue donors, maintaining partnerships with hospitals, educating residents on the lifesaving benefits of donation and inspiring them to sign up on the state’s donor registry. Colorado and Wyoming boast some of the highest rates of donor registration in the country, which directly translates to more lives saved and healed through organ and tissue transplantation. Donor Alliance is one of 58 federally designated organizations of its kind in the United States, and is also an American Association of Tissue Banks (AATB) accredited tissue bank. For more information visit DonorAlliance.org or the Donate Life Colorado or Donate Life Wyoming Facebook pages.